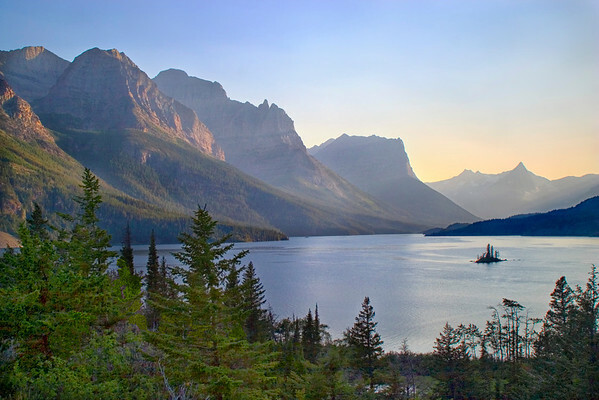 The viewpoint for Wild Goose Island in Glacier National Park is beautiful at sunset. The setting sun lights up the mountains. This is one of my favorite places and photos.